If your looking for a good laugh then this is the activity you are looking for at Impact Blackpool – we guarantee you a good time! You don’t have to be a massive footy fan or a sporty person but be ready for a challenge! Imagine the table top version of football and then imagine you being the players. Strapped to our 46ft by 20ft inflatable you will take the role of goal keeper, defenders and strikers. We split every group into two teams and you will go head to head in our timed matches – if you have a large group then don’t worry we will plan a tournament with you. Human Table Football is an ideal activity for any stag or hen party to kick start your Blackpool weekender. 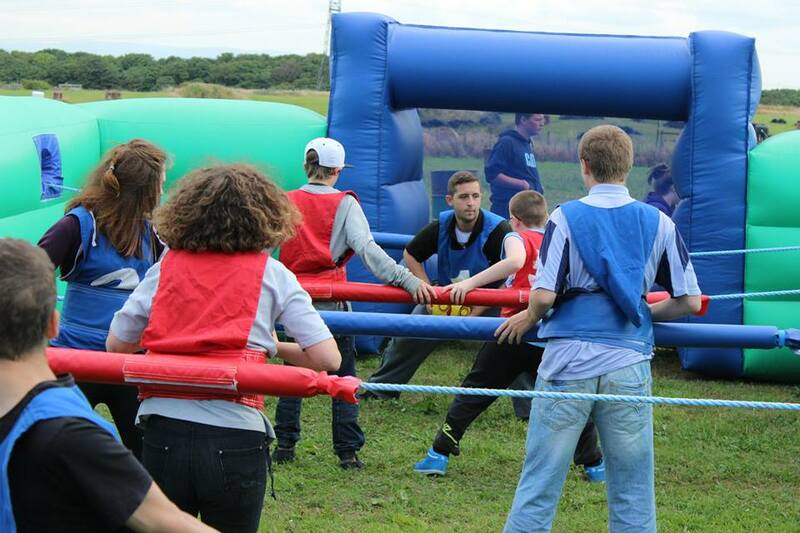 Each Human Table Football booking is an exclusive activity for you and your party and lasts approximately one hour based on ten people participating.